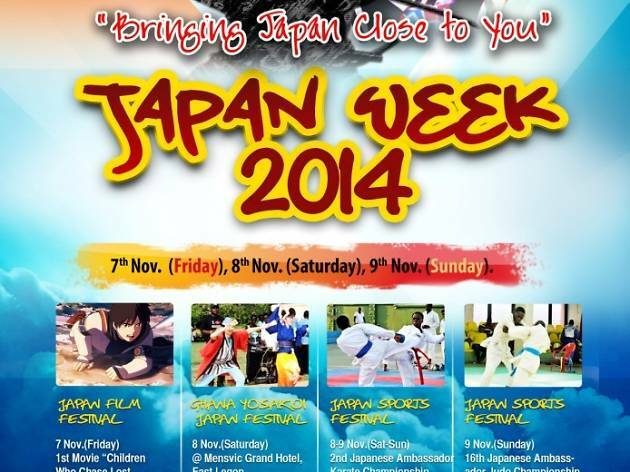 Organised by the Japanese Embassy, Japan Week aims to bring a bit of Japan to Accra with a mini Japanese film festival, delicious food and invigorating sport. Admission is free for all events. 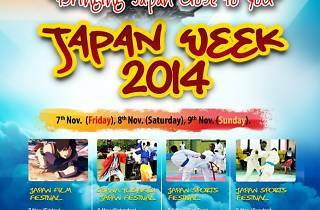 Sat 8 Nov: Mensvic Grand Hotel, East Legon for cultural activities including music and Yosakoi dance. Japanese food will be available for tasting. Sun 9 Nov: Accra Sports Stadium Tennis Court and Sports Hall for Karate and Judo championships.